*NOTICE - this design was retired a few years ago and we recommend using stickers or tape on the envelopes before mailing. 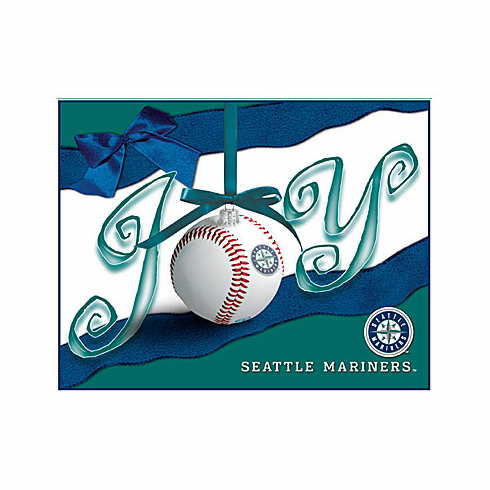 These Major League Baseball Christmas cards will show all of your friends and family how much you love the Seattle Mariners - especially during the holidays. Inside reads, Wishing You the Happiest of Holidays! below the Mariners logo. Each pack includes 21 total 5 3/8" x 6 7/8" cards with white envelopes. Very Limited Quantities...special pricing while supplies last.